The March snowstorms that pummeled New York also left their mark on Vermont. 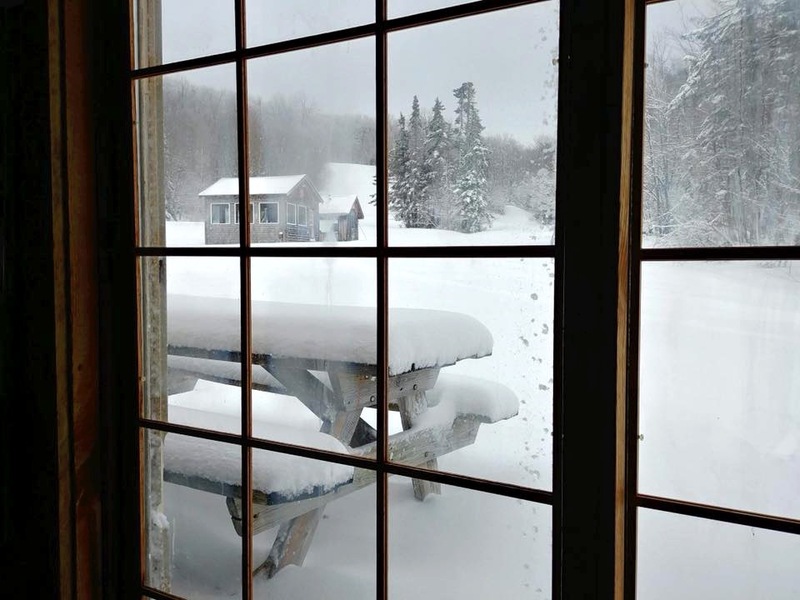 Over eight days, Prospect Mountain, east of Bennington, received 80 inches of snow. With family commitments in the second half of March and warmer temperatures on the way, I thought my ski season would end at the Lake Placid Loppet. But in another surprise storm, the gods smiled and dropped five more inches of snow at Prospect late last Friday night. I had to work Saturday, but Sunday was full on for skiing. If you’ve browsed NELSAP, you might be scratching your head — as they list Prospect Mountain as a lost ski area. Prospect opened in 1939 with a rope tow. Over the decades, it grew, but still relied on natural snow. 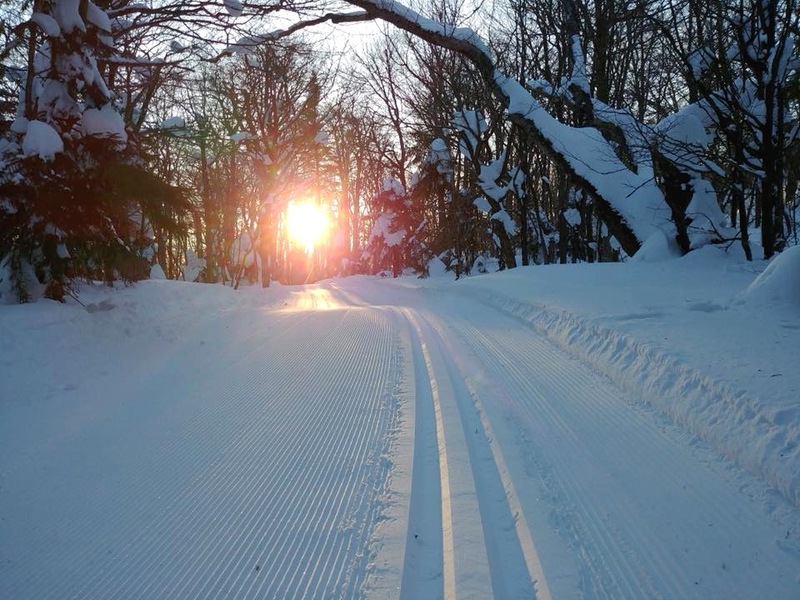 In 1980, the owner began developing nordic trails. Steve, the owner today, runs it strictly as a cross-country place. The lifts haven’t run in years, but I’ve seen more than a few people skinning up to the summit on Telemark or randonée skis to head down the alpine trails. Atop Bennington Gap at 2250 feet, Prospect’s lodge is significantly higher elevation than Bennington. When you’re looking at online weather reports from 200 miles away, there’s often a disconnect. Prospect can be between three and eight degrees colder than Bennington; choosing the right wax is often an educated guess. Arriving at 9:30, it was powder conditions. I’d brought two pairs of classic skis prepared for hard wax and klister, as well as skate skis. Who can resist the novelty of kicking on hard wax in April? I crayoned in some Blue Extra and headed out. Bluebird skies, and packed powder made for a great morning. Not a rock anywhere down low. I quickly connected with Vinnie, one of the infamous Berkshire Boyz. He was skating, and on classic skis it was tough to keep up with him. After an hour, we swung back to the lodge and I swapped my classic skis for skate skis. Brian, a skier and bike racer from Connecticut, hopped in with us, and off we went. Around 11, Dave, Bruce, and Harry showed up – more of the Berkshire Boyz. “I thought we were going to meet at 9 AM,” Vinnie said. “I’m retired, I don’t use a watch any more,” quipped Bruce. Now we were six, and out we went. Back in the days before children, I’d often been able to jump on a train with like-minded skiers at Prospect. We’d take turns setting the pace and choosing the route. Some days would be a hammerfest; other days, someone might yell at the leader to slow down on what was supposed to be an easy day. As clouds covered the sky, we skated up the Mountain Trail, gaining 400 feet in a bit more than a mile. By the time I came to the summit, two more people had joined us. From the summit, we glided down Hawthorn to Danish Delight, a twisting roller coaster. Coming down to a hard left turn at over 20 mph, there was a bare spot the width of the trail where the groomer had churned up dirt. It was find a way around, fast or faceplant. I zoomed off piste to the left, into ankle-deep snow, between two trees maybe spaced three feet apart. Then back on to the trail. We all made it through unscathed, the only rough spot on an otherwise perfect day. We dropped down Shea’s to the lower part of the trail system. The conditions were awesome so I stayed as late as I could. 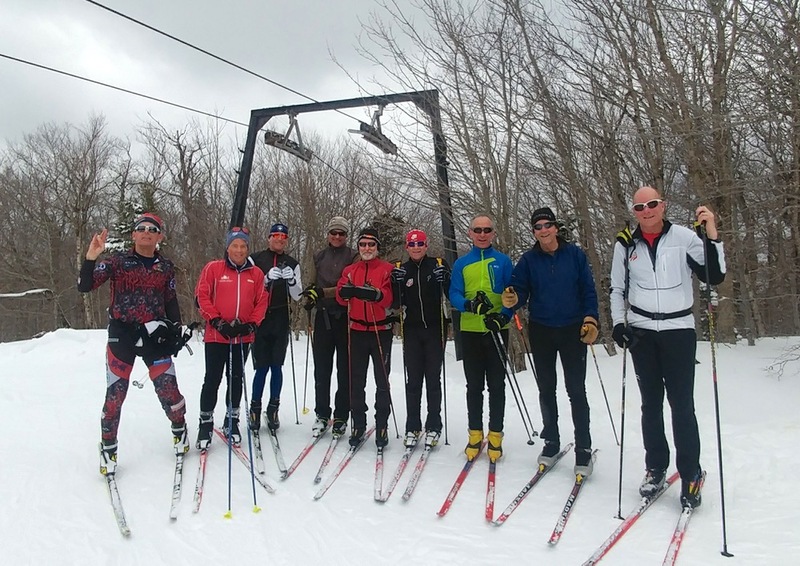 It was a great feeling to ski with a pack of guys I’ve raced against for over 20 years. The youngest was 50; at 60, I was the second. There’s at least one grandparent in the bunch, and a variety of the slings and arrows of aging: a hip replacement, bad back, bad shoulder, pending knee replacement. On this day we forgot our aches and pains and we were bringing it. Long after you’ve forgotten some race result, you remember the people that you were with. The company we keep is more important than the adventure. I love the blend of history, comraderie and TR in here, Peter. Also, I admire the hell out of you Nordic guys. Ski lifts and gravity make things so much easier. Thanks for posting. I say this as an old guy: that is a picture of a bunch of old guys in great shape. Love reading this. Natural snow ski areas are a joy. Thank you Brownski and Harv. Hoping Prospect will survive the weather for one last weekend. Last time freezing rain was predicted, they got 8 inches of snow. Fingers crossed. 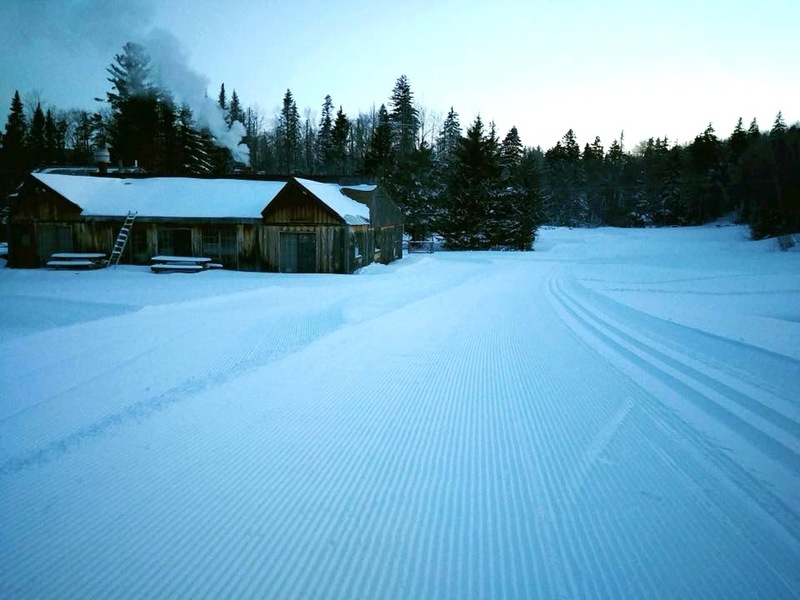 I, and a couple of friends, Nordic skied there when it was operating as both an Alpine and Nordic area. We skied the old logging road to the top, then came down tan alpine trail on our touring skis. No metal edges, and breakable crust. It was a memorable day! 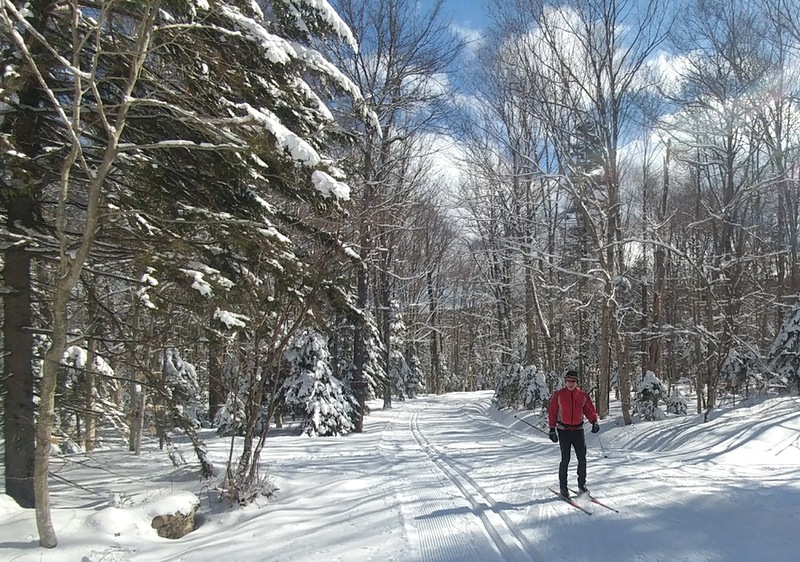 True, Peter, an xc ski ticket included one ride to the top on the t-bar (that was in the 1980’s). Thanks Peter, what a great story! I feel lucky being a part of this group….with friends like this you will never grow old (or at least we will never admit to it ). Peter, funny how we have known each other for so long and both of us have always had a secret passion for snow. I have not done much XC since I started to DH again and given my growing waist, I think I should join you next season for a few laps! This is a great story about a really cool place that I have only been to once to check out. this is so great, i wish we could get surprises like this all summer — i don’t want to be done! 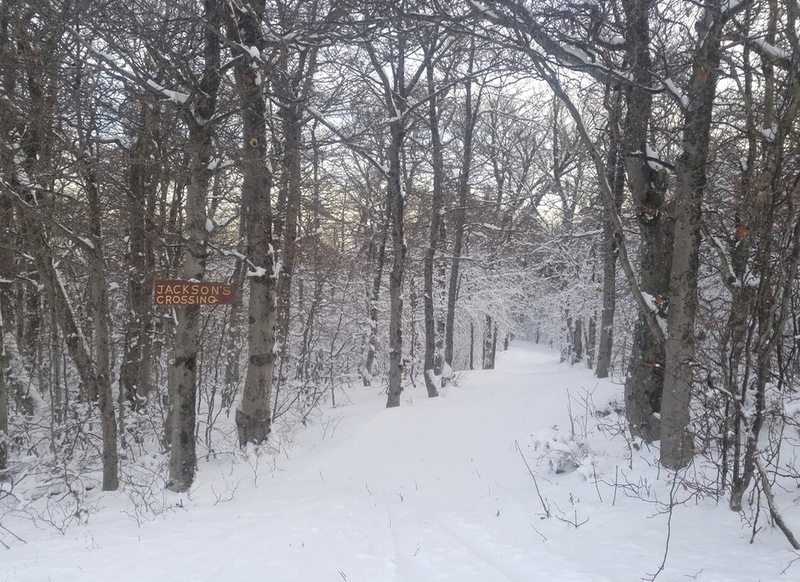 Alba Adventures and ml 242: Prospect Mt is still open and it looks like they’ll get snow tonight. Come git you some!